Big to Small we Collect it All! Rule #1 in collections: Time is of the essence! Tucker Albin Collections is a commercial debt recovery agency. We combine years of experience with new blood, and fresh ideas to create that perfect persuasion architecture that converts past due accounts into paid. Our goal is to ensure that you receive the highest return on every dollar placed with us. Our focus is to collect your money and leave the door open for you to do business with that customer again on your own terms. Our initial letter to debtor(s) advising them that we represent you is huge factor in convincing debtors that voluntary payment must be made. When a Debtor refuses to pay an account, and he/she has good address and verified assets. Accounts fitting this criterion will be referred to one of our two in-house attorneys for suit. Client advised and suit authorization requested. accounting staff are stretched thin. Companies big and small continually return to Tucker Albin because we provide results that exceed expectations. Throughout our years of experience, we have honed management practices that utilize consistent and well-organized procedures that minimize the risk of accounts going delinquent. Our processes are easily measurable so that we can always update you on exactly how much our management services are benefiting your company and so that we can constantly improve upon our methodologies. We manage both with the same amount of professionalism and courtesy. We have created seamless processes so that your on-time clients will never know the receivables process has been outsourced, while your past-due clients will come away from the recovery experience knowing they are still a valued and respected customer. Our agents have years of experience in debt recovery. We will investigate and identify delinquent accounts, work to collect past due receivables, and most importantly, eliminate inefficiencies in the account receivables processes that allowed for delinquent accounts in the first place. We provide the best-in-class arbitration services as part of our delinquent account recovery efforts which maintains a strong client relationship while still enabling efficient recovery. This being a preventive measure rather than a full-blown recovery effort, it fits flawlessly into our accounts receivables management services, with no additional cost or effort on your part. Schedule a consultation, it’s free!  Tucker Albin & Associates understands that your business is unique. Therefore the approach we take is determined by you, the client. That’s commercial debt collection in your home market: we are on top of it. We use a customized approach to collections that works. We can go nuclear, neutral, or anywhere in between. Telephone contact can often be the most effective method of collecting funds. Our success ensures your business continues its success with minimized impact to your cash flow. Tucker Albin has a comprehensive and proprietary database, which we use for business debt collection. This database means your customers are already well-known to us making debt collection much more effective. We have successfully collected delinquent accounts in more than 100 countries since we opened our doors. We have private investigator networks around the globe making Tucker Albin the smart choice to meet your international receivables management challenges. Several of our clients have done business internationally for quite some time. Those clients that have international claims enjoy the convenience of placing those claims just as they would domestic claims through Tucker Albin and Associates. We employ a multi-lingual staff of recovery specialists including a fully supported software system tailored to foreign collection letters, email demands, and current customs regarding the pursuit of debt in different countries. Skip tracing is a key part of any successful receivables management organization, essential in locating responsible parties & properly making demand. This feature is part of our service and is performed at no additional cost to our clients. You need to know the best way to get your money back. During our investigation we’ll discover hidden assets, crucial business information, and more to determine if you debtor has the resources to pay. If they don’t, we’ll also be help you determine if litigation is a financial dead-end. It may sound trite but the longer you wait to place an account for collections the less likely it is you will ever see your money again. Our rates depend on the debt, like the age and amount owed, and the amount of accounts you’re placing. Unlike attorneys (who charge by the hour whether they get your money or not) we work strictly on a contingency basis which means if we don’t collect, it doesn’t cost you a dime. In plainer words, we’re working for free unless we recover your money. CONVERSION RATE PLACED AT 3 MO. CONVERSION RATE PLACED WITHIN 6 MO. Quick and efficient way to collect those troublesome smaller claims! Place by Phone, E-mail, Fax, Spreadsheet, Regular Mail, FTP etc. Strive to provide an unprecedented standard of excellence. We pair the latest technologies with an industry-leading network of agents, attorneys and in-field investigators to provide you with the most complete, motivated, and efficient commercial debt recovery services possible. Tucker Albin & Associates is the commercial collection agency that takes the worry over past due balances out of your hands, and we turn it into peace of mind as we diligently and efficiently settle delinquent accounts. Over 75% of what we collect is collected within the first 5 business days. Tucker Albin has a massive network of over 15,000 investigators available. Tucker Albin is fully certified, licensed, and bonded and is a member of the National Collection Association. It may be time to recover your money by taking legal action. Our proprietary business credit reporting system gives you far more info than any other online service. Our private investigators deploy the latest technologies in their asset and liability investigations. and to having you get to know us!